generational community that creates an atmosphere for the enjoyment of Jewish life & opportunities for spiritual growth. 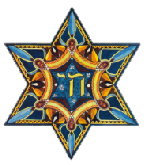 Please contact us if you need to say kaddish so we can make sure that we have a minyan. Shaaray Tefila holds weekly traditional egalitarian Shabbat services. We have regular Friday evening services at 6:30 PM, Saturday morning at 9:30 followed by a kiddish luncheon at 11:30, sometimes followed by a lecture or discussion. Services and Torah discussions are participatory and interactive. We also have traditional Sunday morning minyanim at 9:00, which gives us the opportunity to put on our tefilin and daven the weekday service, including mourners’ kaddish. Once a month, we will have an alternative service such as Havurat Shabbat, designed and led by congregants, or Family Shabbat, in which our youngsters will actively participate and apply what they have learned in religious school. Jewish Journey Shabbat services will engage those less familiar with the traditional service in a welcoming and supportive environment. These alternative services tend to be shorter and are usually associated with a special Shabbat dinner. During the summer, we often hold Friday night services in Crandall Park. We are always interested in learning new melodies and harmonies. Every second Friday of the month we hold services at The Glen located at Highland Meadows, 39 Longview Drive in Queensbury, NY starting at 6:30 PM. We maintain a full schedule of traditional holiday services throughout the year, including a second night of Passover seder with a catered kosher meal. Copyright © 2019 Congregation Shaaray Tefila.